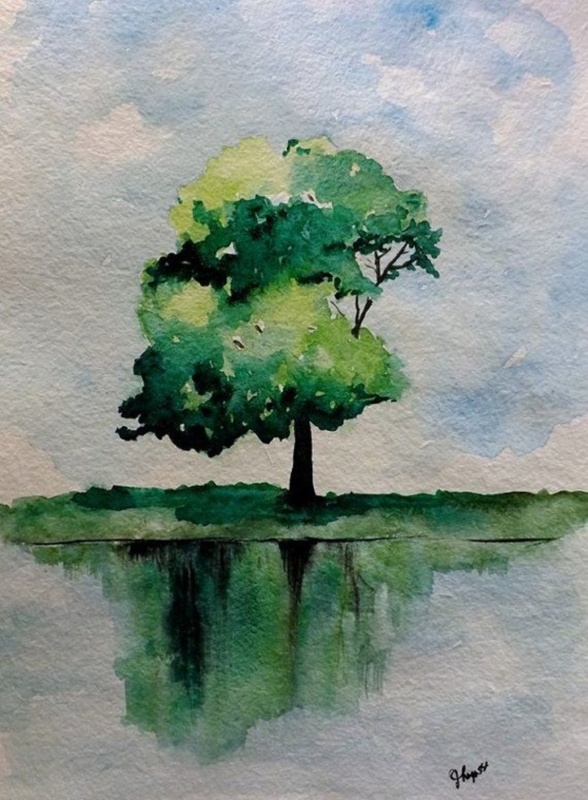 If you need your tree art, you just need a canvas a basic shape and some watercolors. It will make you realize how easy that is. 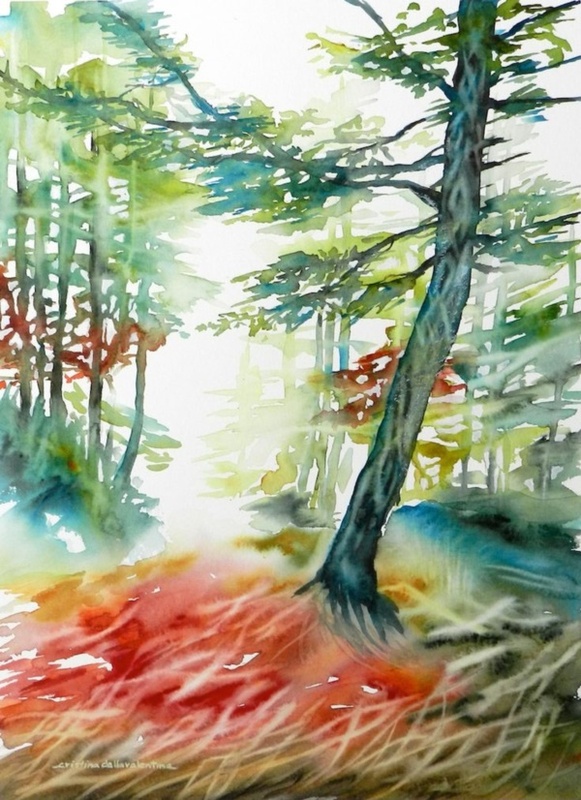 Watercolors are easiest to handle and the color just spreads very easy if you just handle the water amount correctly. 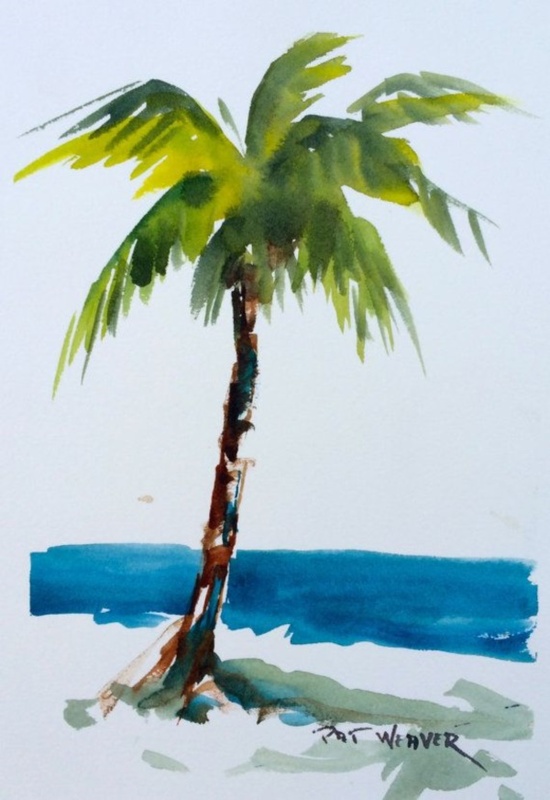 For any beginner, watercolor base tree paintings are the best. 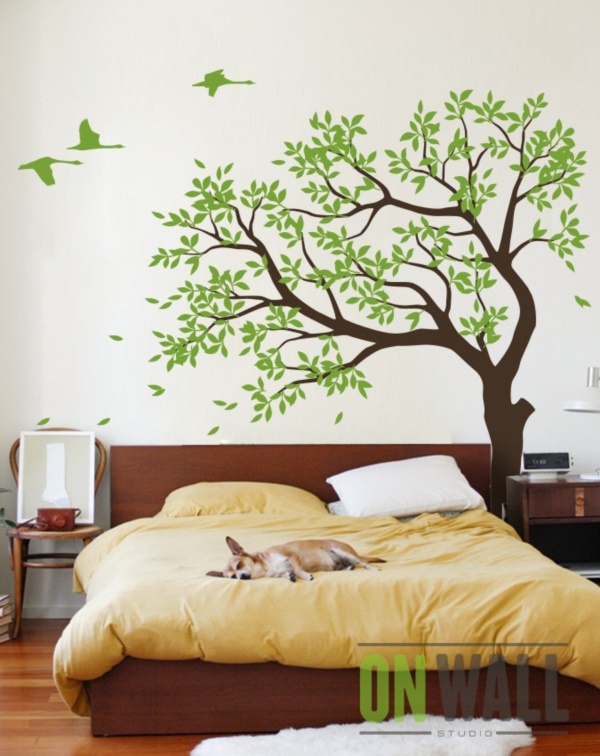 If you need to see the life-size tree art then it has to be the one on walls of your room. 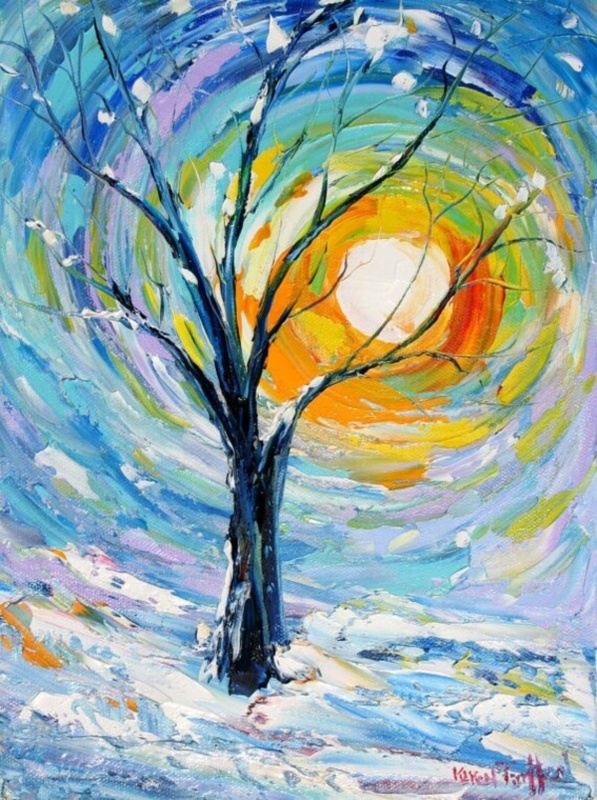 For your décor on walls try the tree art or painting in a corner of your living room or near the door entrance. 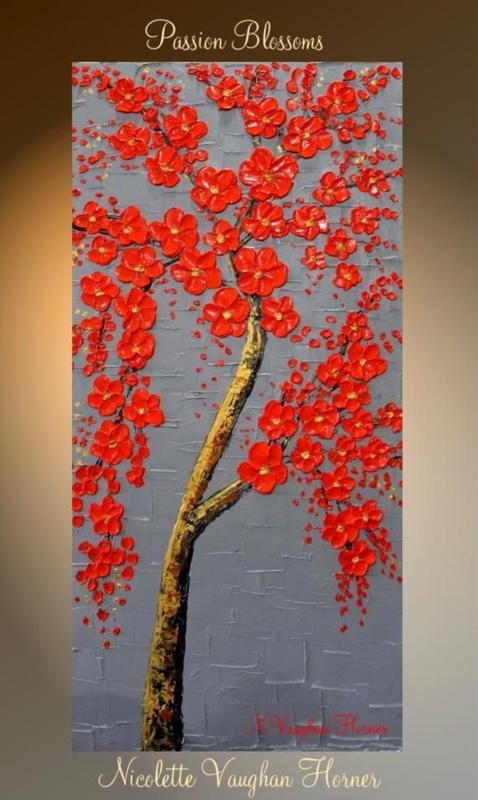 Canvas hanged on the walls, direct oil paint technique, the painted tree with photo frames hanging on its branches, embossed art form on the wall, or the actual huge tree branch on the wall, you can have anything on the wall sky is the limit for it. 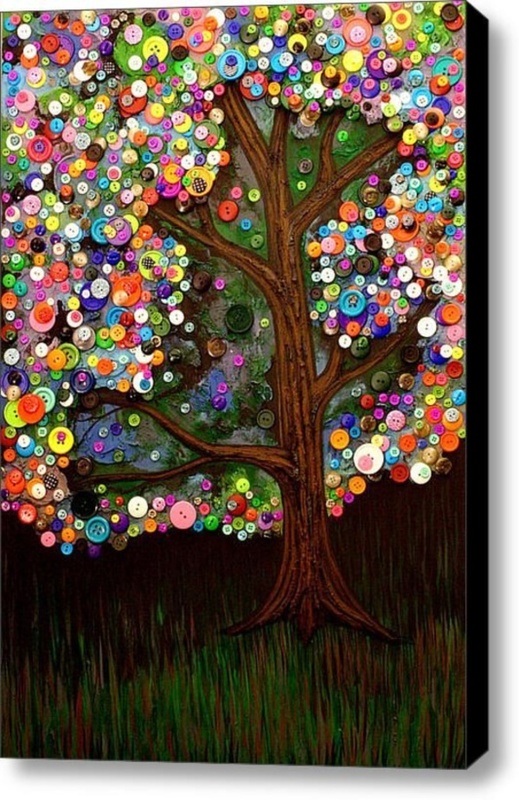 Mixed media tree art can be done on a huge scale or just in a photo frame as well! 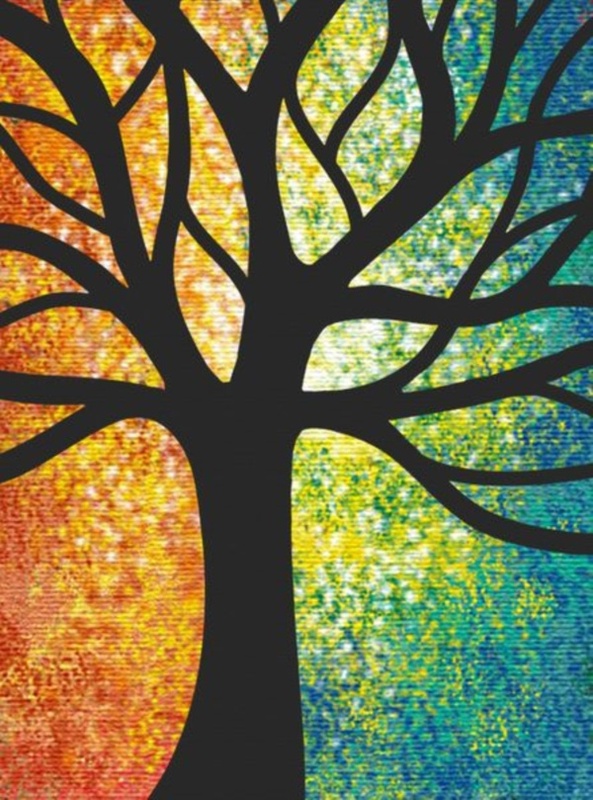 You can use all sorts of coloring media in one; you can try mixing physical elements with colors, you can also use papers and actual leaves to create your own tree painting or art form. 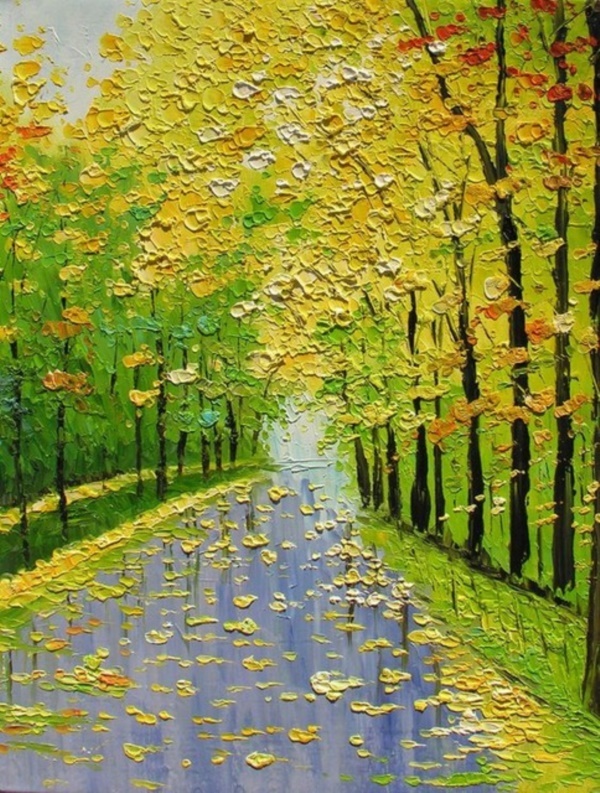 While discussing the Beautiful Tree Art Painting & Art Works, we can’t forget to include the palette knife style. 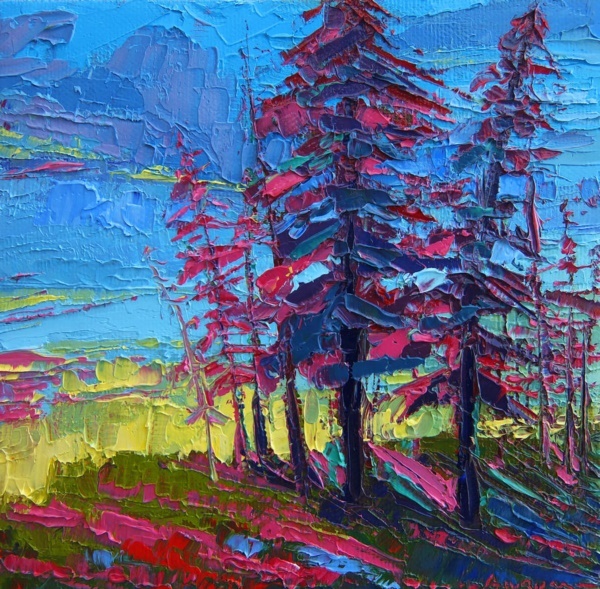 Palette knife is generally used to mix or apply oil or acrylic colors on a canvas. 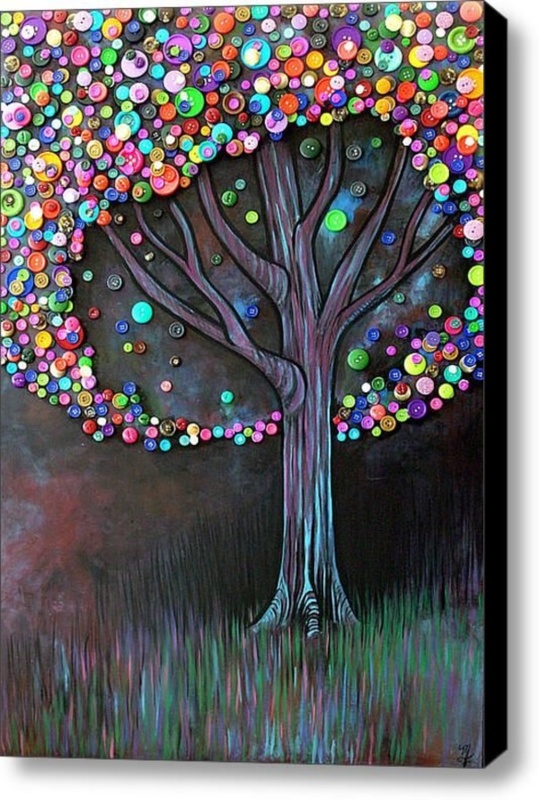 You can use one or more kinds of palette knives to get your tree art painting! 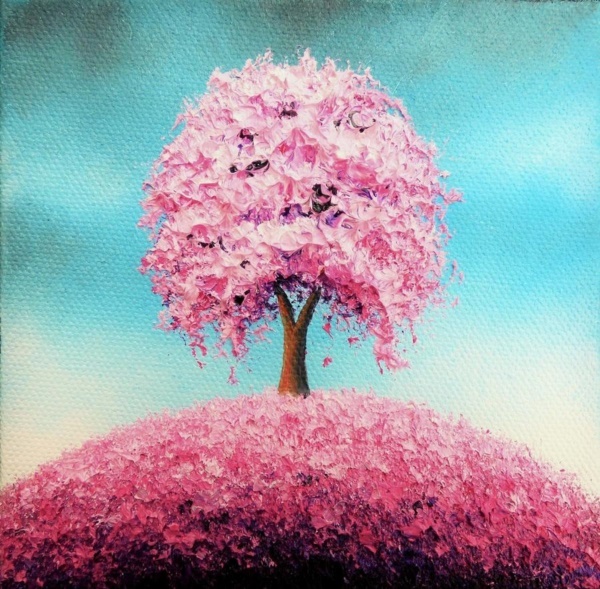 The blades of the knives will help you in giving a shape to the tree and definitely an embossed effect on the canvas. 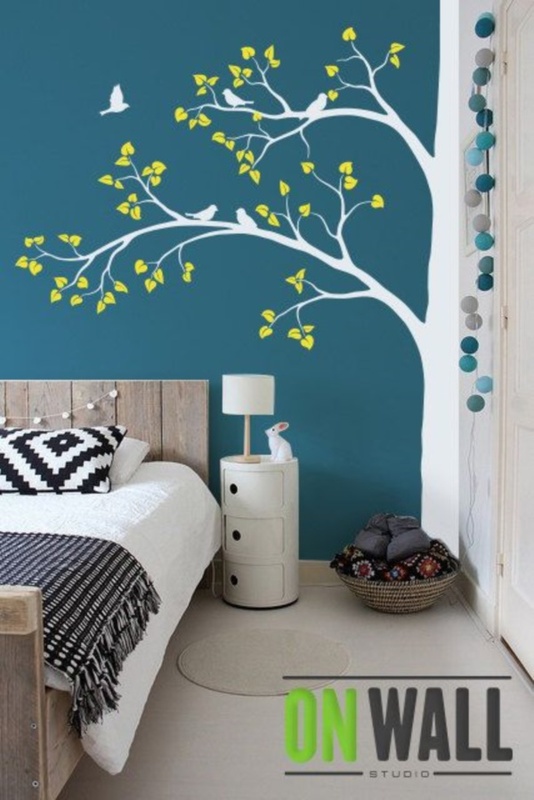 It can be done on the wall décor as well. 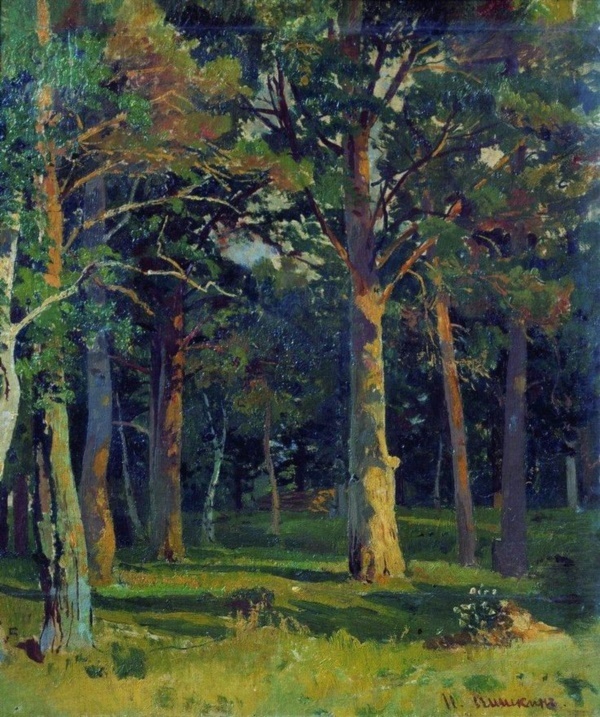 The Klimt way of painting is an exceptional way of having a tree painting. 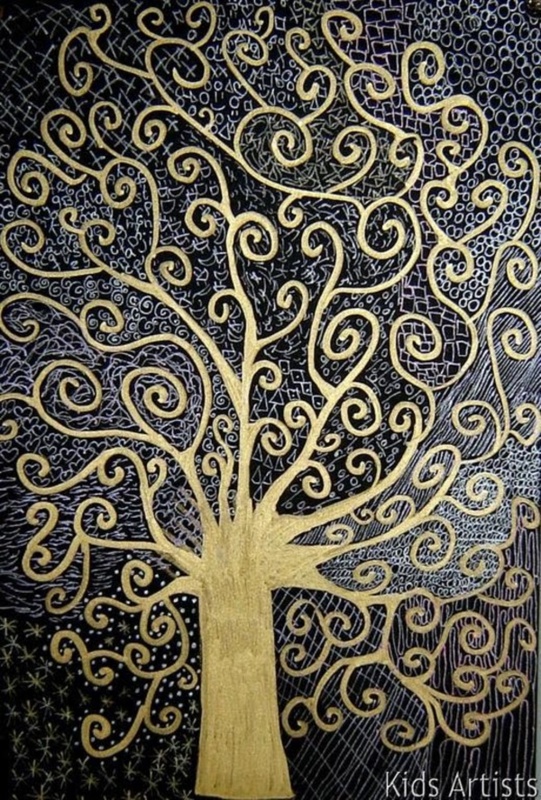 Gustav Klimt loved nature and he painted a tree with so many variations, but the one that got everyone’s eye had a beautiful golden tree with abstract natural forms living on it and branches just coiled around. 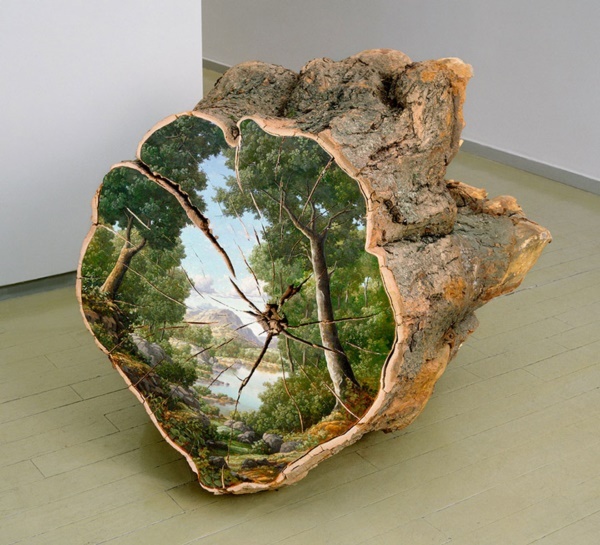 That gave a shape to the tree and definitely a brilliant art form and a craft idea. 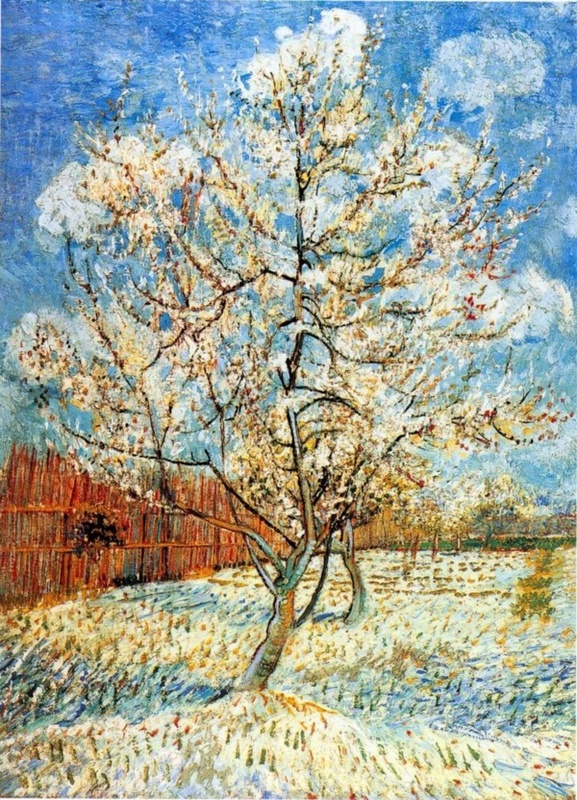 Van Gogh also liked swirls but in a different way. The paintings by Vincent Van Gogh had merged colors and coming out like swirling flames merged together. Also, you can’t take your eyes away from the pointillism techniques in the background. 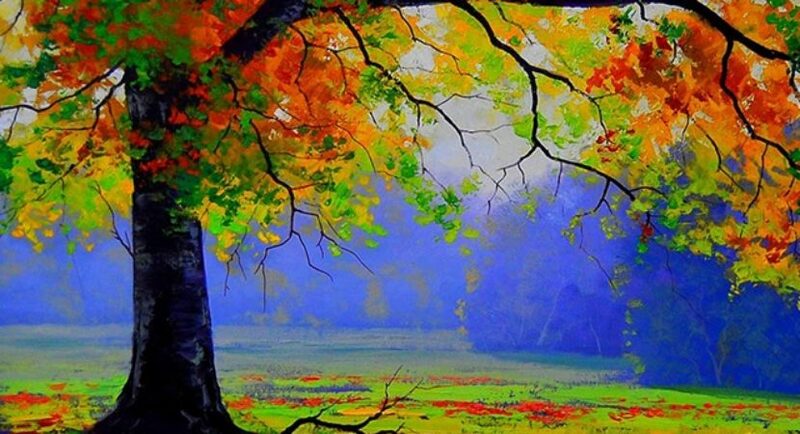 Simple, yet very effective & that’s why counted among the most Beautiful Tree Art Painting & Art Works. 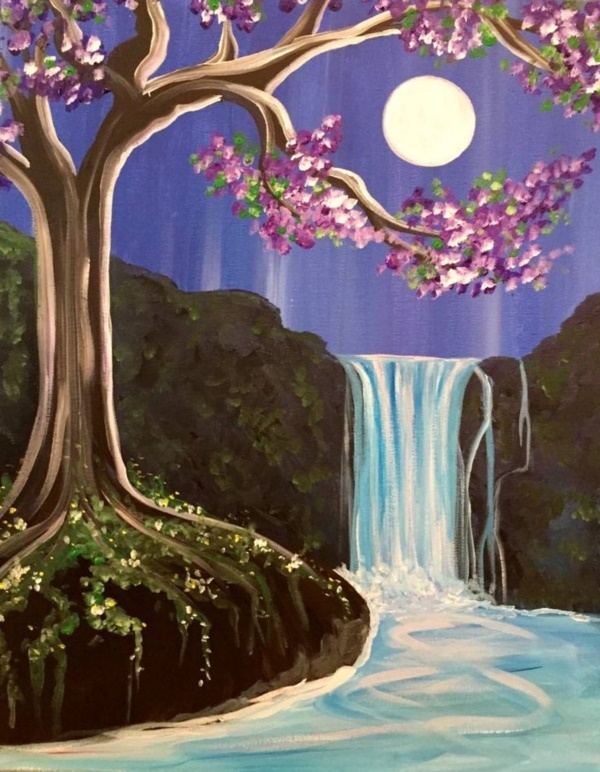 If you are a parent and you are looking for something creative for your child or even just for your home, then you must try some of these ideas for beautiful Paintings and art forms of trees! 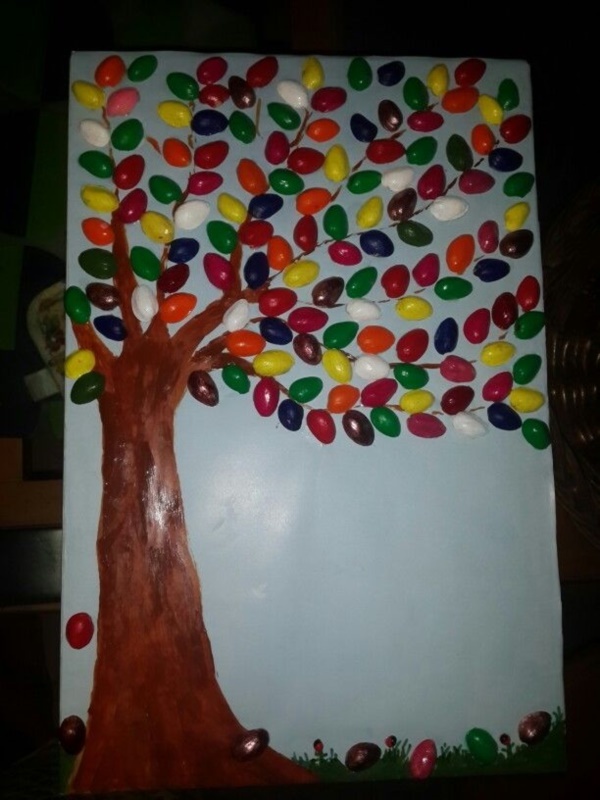 Try small branch blocks cut and paint a tree inside it, make greeting cards by drawing a trunk and then dab it with a tissue balled and dipped wit colors, Use a paper bag to make a dead tree effect, use ear buds to create a tree effect on canvas or paper, try your soft drink bottle base to get perfect cherry blossom look, take a pebble and a few thick & thin stroke will give you a perfect tree craft. 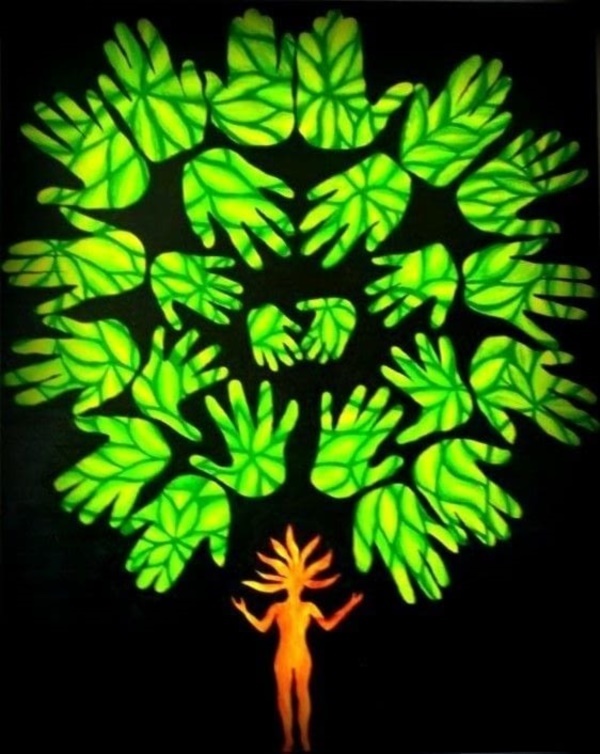 Just follow the basic tree shape. 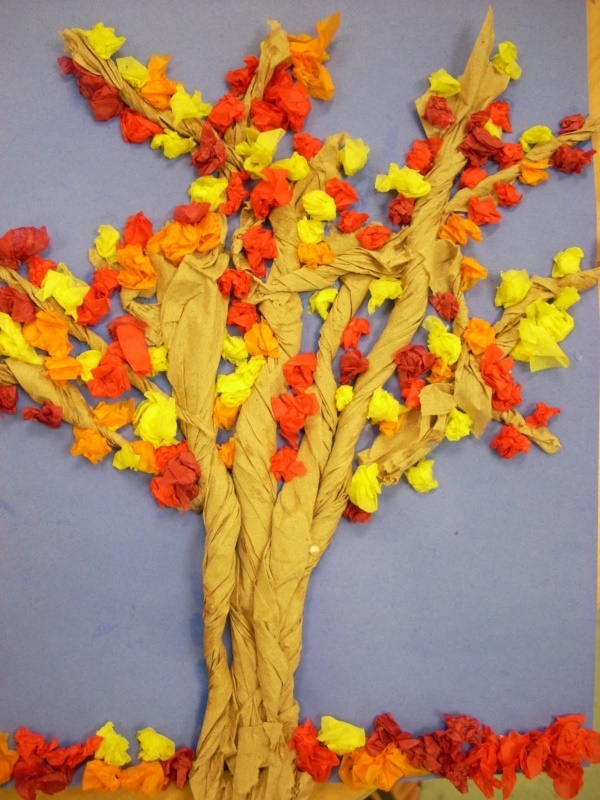 If you cannot paint or if you have never held a brush before, try using a tissue paper as your tree leaves and flowers. 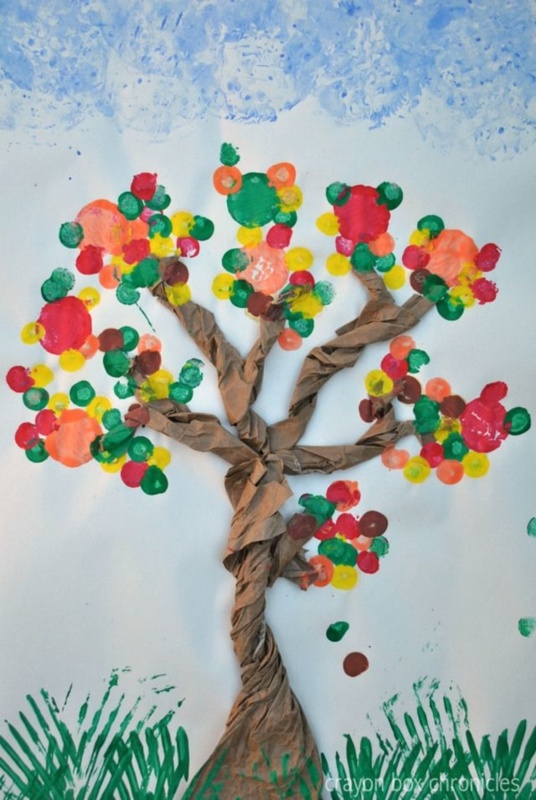 Take a print out of a tree trunk or try to draw out the base and its branches, now tear small pieces of your tissue and make them wet with colors and glue, now stick them on the branches randomly. Try to take your skill to another level too. Cut your tissue paper and try to create a fluffy effect by arranging them on a brown paper trunk, try some paper folding and cutting technique to get there. 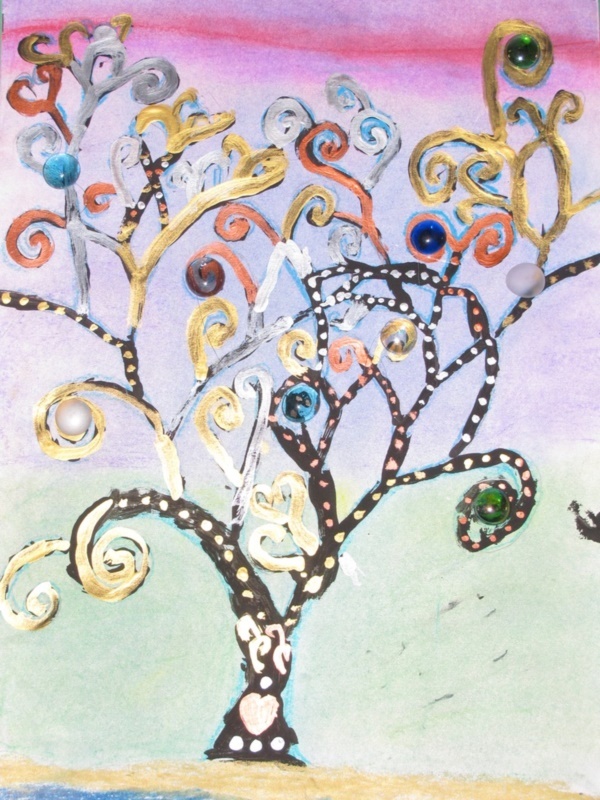 Tree and abstract art go hand in hand for many artists. 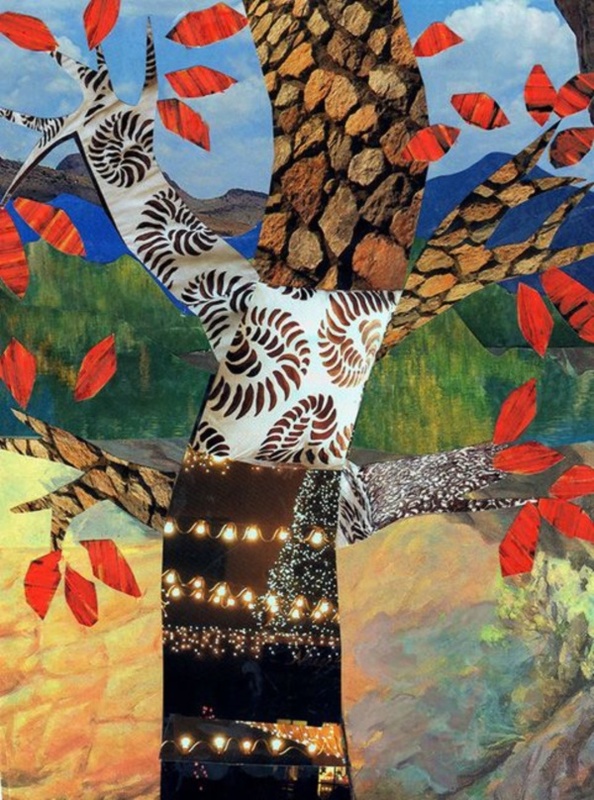 Try making a tree and give it an abstract nature background or make an abstract tree on a natural background. Both ways you will only get the best. 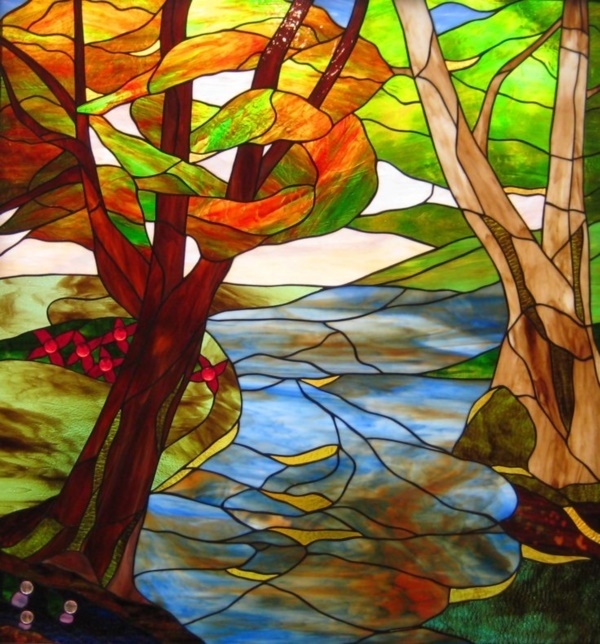 Stained Glass colors on a paper give fabulous glossy and glassy effect! 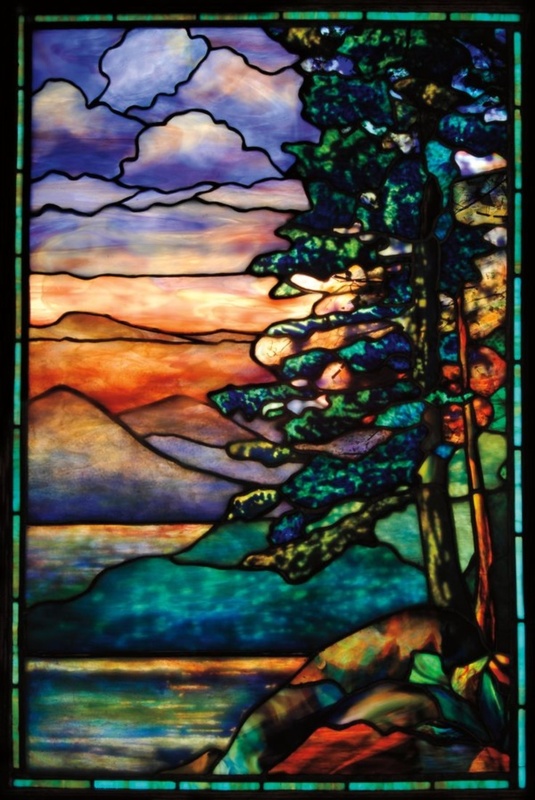 You can use them to create a beautiful combination on a glass or on a canvas to get an amazing output. 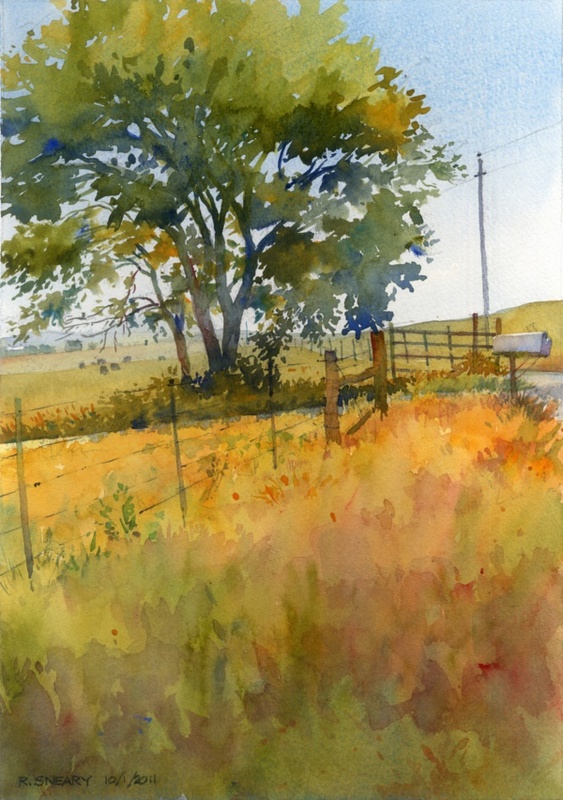 The colors are vibrant yet subtle to see and to feel. 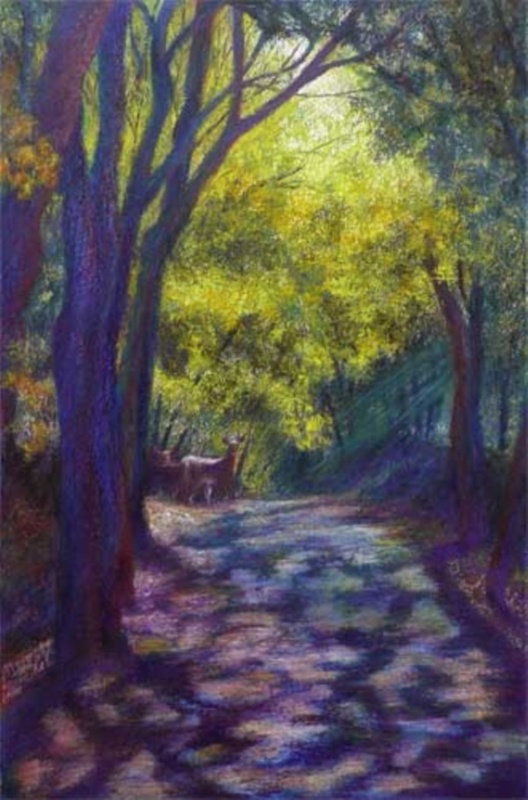 If you are familiar with different coloring mediums, then you should know how smooth oil pastels can be on a canvas or on a paper. 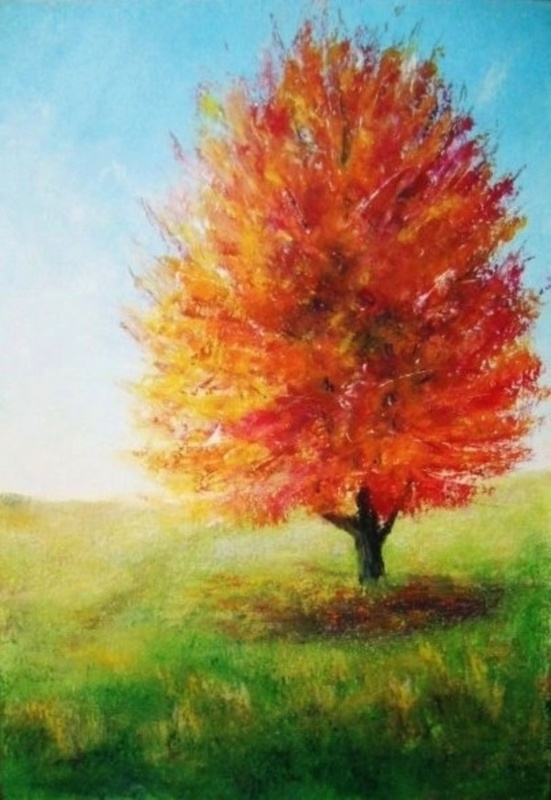 You can use just the oil pastels or mix it up with some other mediums to create a brilliant color effect for a tree drawing. 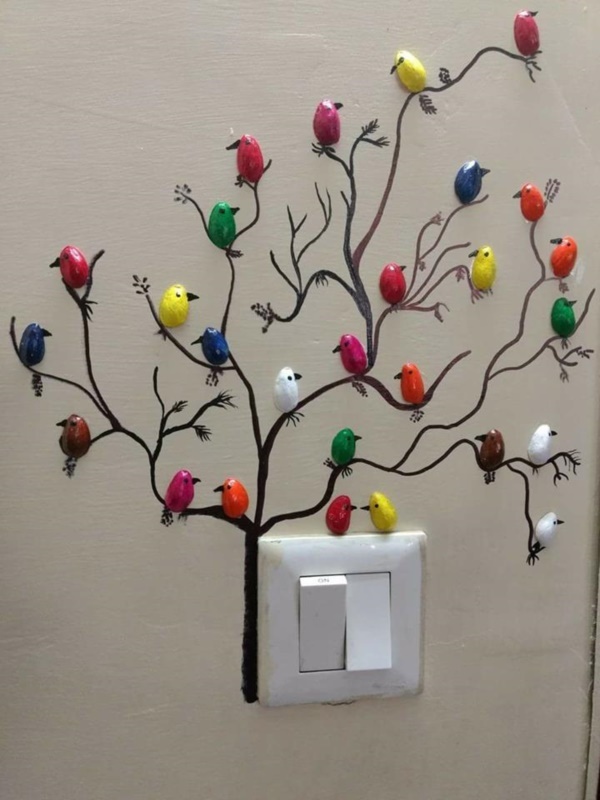 Mobile tree art forms can be 3-D or couple of painting combined together to make one art form. You can move them around and place it anywhere. 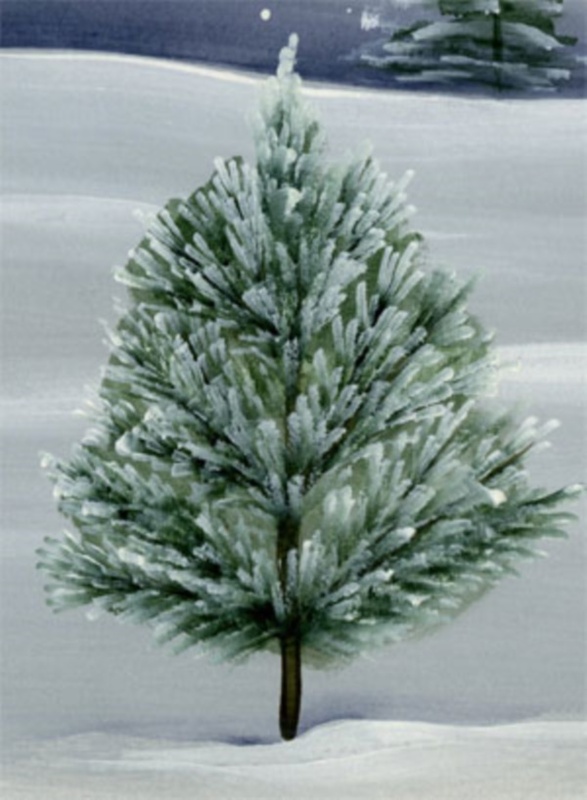 Use natural leaves and stems/ branches to give the best natural effect to your tree painting. 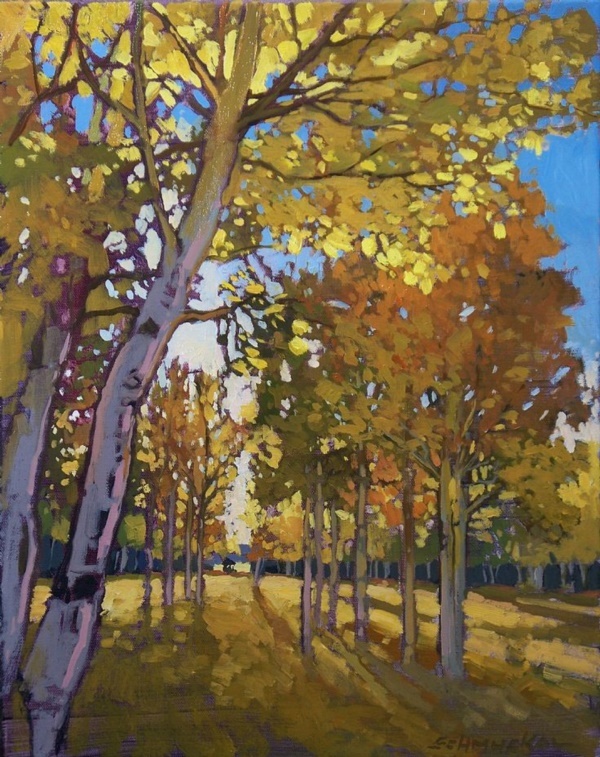 Best results come out when you see an original landscape or a tree and try to interpret it in your own way on a canvas. The visual must inspire you to do so. 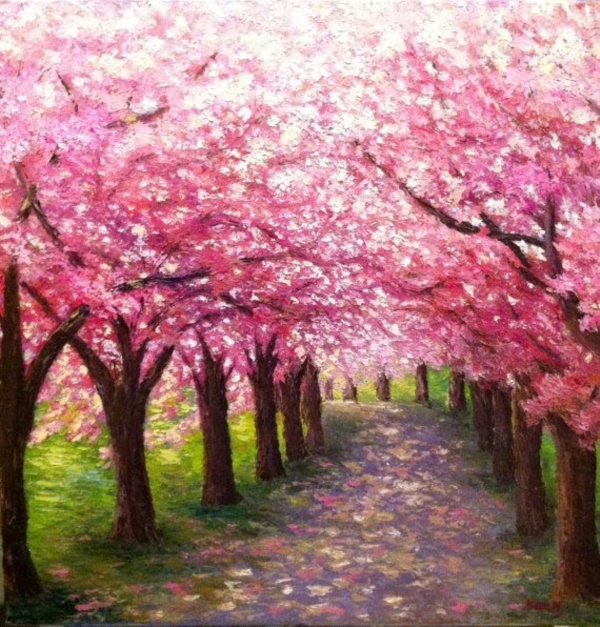 Inspiring yourself with cherry blossom trees and drawing them can be very beautiful and pretty. You can have them on any surface, canvas, wall, paper, and even on your clothes. You can use almost anything to make it. 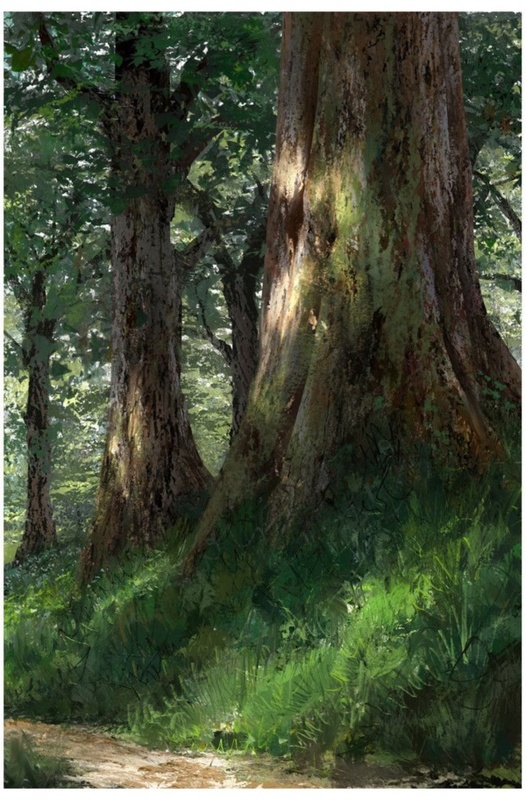 Take your drawing skill to another level and draw some forest trees. Dimension to draw them can be extensive; you can draw one tree in the forest or a group of trees in a forest or over a mountain as well. 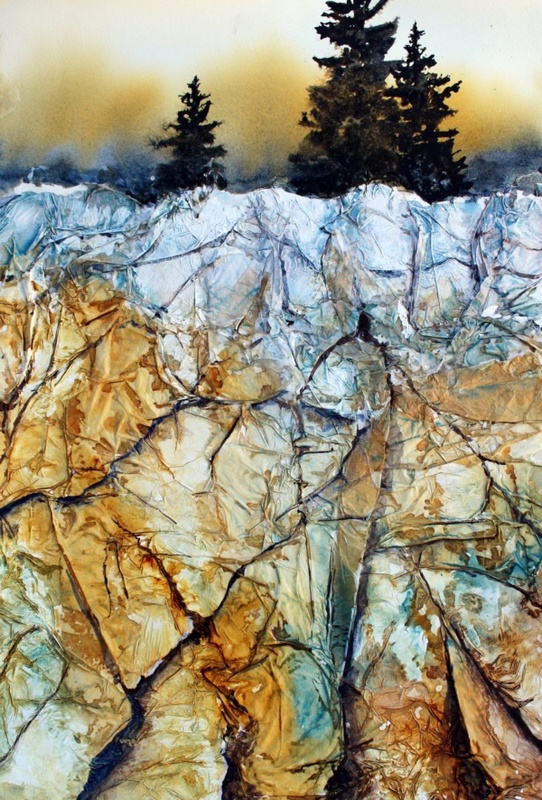 Play with shades, colors, medium, and textures too. 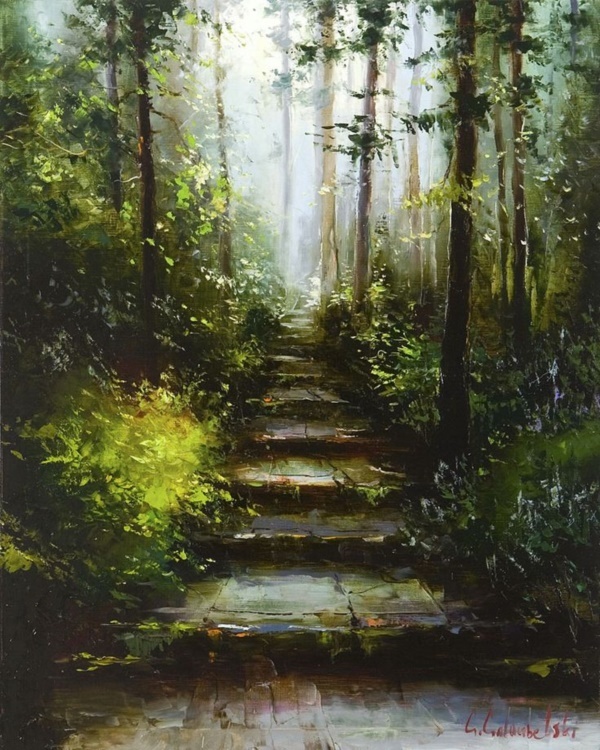 Strokes of flat brush with any medium will give you a fabulous leaf effect and even you can achieve a double color effect with two colors loaded on the same brush. Color your Pistachio shells and, let them dry. Stick them on a paper with a try branch drawn on it on a canvas too. You can also use those shells to make birds sitting on a tree branch. 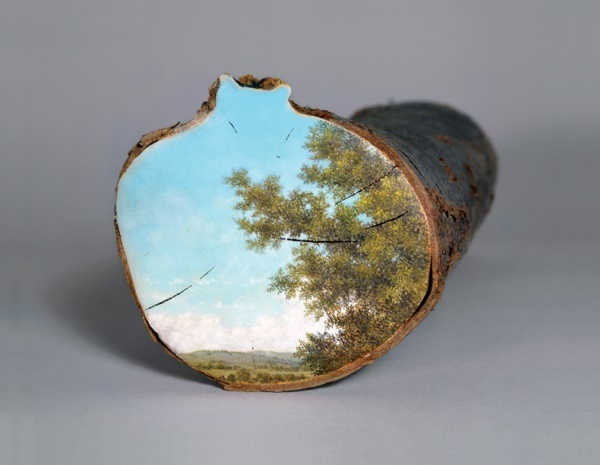 If you find tree logs, try coloring them and make a tree painting inside it! Combine any of the above-given methods. The result will be astounding. 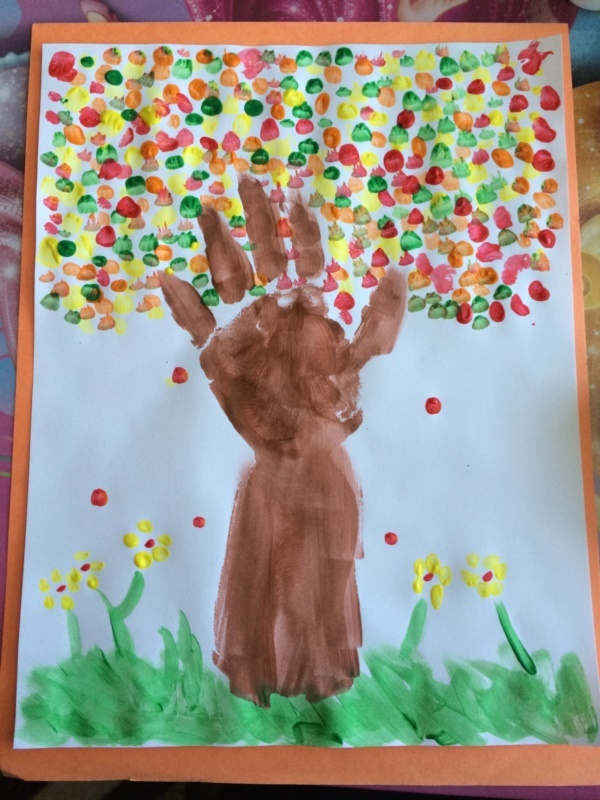 Handprints on a canvas, arranging them inside a tree silhouette will give you a fabulous abstract. You can use any surface to get the maximum result. You can also use any color medium to paint your hands. 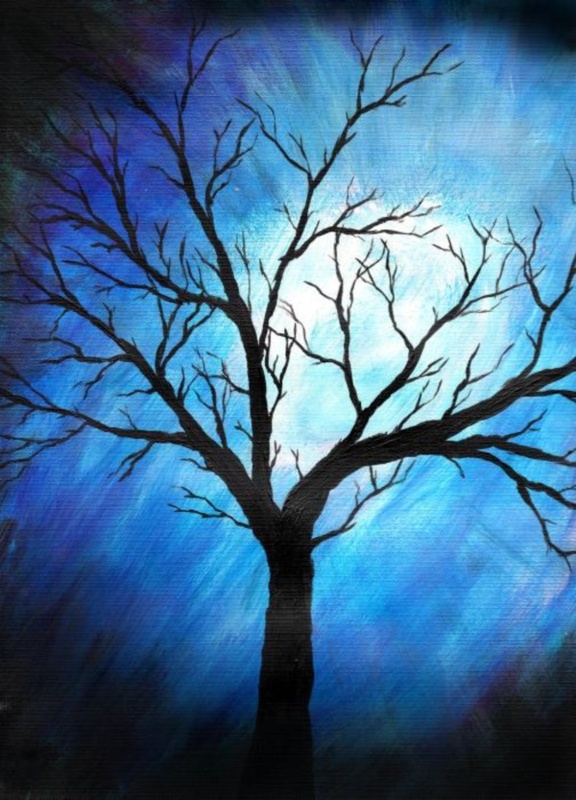 I hope this collection of Beautiful Tree Art Painting & Art Works will help you to know more about this category and you can’t also grab for inspiration for your next art piece.